Please ensure you have received confirmation from the WBSA scheduling director before using the field. You can request up to two practices a week from the Master Calender. 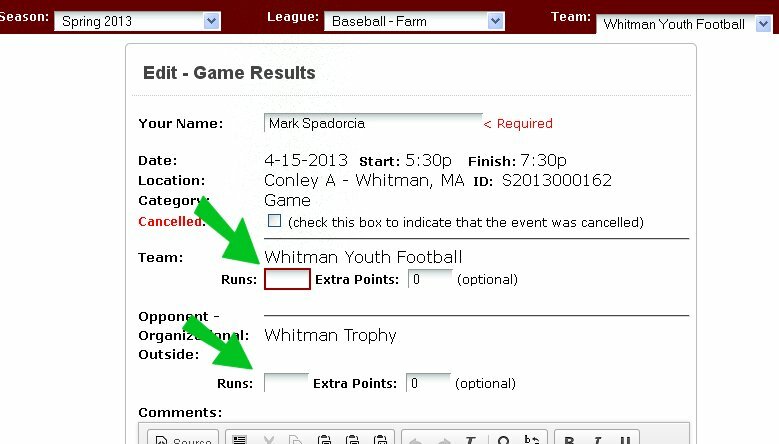 Our league policy is to only allow teams to schedule up to two weeks in advance from the day you enter your request. This allows everyone a chance to get a practice in. It's prioritized by date entered and date needed. The next screen you'll see is similar to the screen below. Enter the score and the standings will automatically be updated. Any questions, please contact your level director.